A controversy over two bills to expand voluntary pre-kindergarten education in the state appears at this point to be largely settled, as one legislator says his bill mostly likely will remain dormant as the other proceeds through the Senate. That would be welcome news for some Roswell child care providers who worried that Senate Bill 298, introduced by Democratic Sen. William Soules, an educator from Las Cruces, could harm their businesses, result in lower educational and care standards for young children and cause difficulties for parents. Many educators and child development experts in the state agree that quality pre-K programs can help youth prepare for school and develop emotionally, intellectually and socially. But exactly how to fund and organize the expansion of state-funded pre-K, so that more students have access, is the current debate. SB 298 had many provisions, but what upset some local child care providers is that it was structured to allow early pre-K (for 3-year-olds) to be provided for by private care, funded through the Children, Families and Youth Department. Meanwhile, funding for pre-K (for 4-year-olds) outside of public schools would be phased out starting in 2021 until it was zeroed out by 2025. Without 4-year-olds, child care centers will go out of business or will have to raise rates dramatically for infants and toddlers, similar to the costs for college, said Crystal Tapia, policy chair of the New Mexico Child Care and Education Association, which represents child care providers statewide. She noted that most of the state’s 700 child care operations are owned and operated by women. 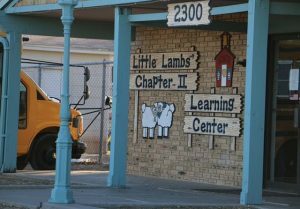 Stephanie Null, owner of Little Lambs Learning Center II, added that she considers an effort to fund only PED and public schools is similar to what happened with after-school care about three years ago, when public schools began to offer such programs. SB 22, the legislation supported by the child care association, would create the Early Childhood Education and Care Department and would fund early pre-K and pre-K through both the CYFD and the Public Education Department, as it is done now. Arrieta, Null and Tapia said that the concern they have with SB 298 isn’t just about funding for their businesses, although that is a significant issue. They also worried that public school settings will not be as safe for young children or as conducive to them since they learn primarily through play. Tapia, who also owns a child care center, said she has heard some people argue that child care teachers aren’t educated enough to instruct young children. She said there is no logic to the thinking that child care providers are acceptable instructors for 3-year-olds but not 4-year-olds and also pointed out that child care teachers receive training specifically for early childhood development, which public school teachers often do not receive. Arrieta and Null said that requiring parents to use public pre-K for 4-year-olds also would mean that they would lose the “wraparound” care provided by private child care, meaning the care that occurs before and after school hours and during school breaks. And Tapia said that parents deserve to have choices between child care settings and public schools. Soules said it appears that his bill will not move through committee until senators first consider SB 22, co-sponsored by two Democrats, Sen. Michael Padilla, a businessman from Albuquerque, and Rep. Linda Trujillo, an attorney from Santa Fe. That bill is expected to be heard by by the Senate Rules Committee Monday morning. Should that bill not progress, there could be a chance that SB 298 might be considered. He added that he and Sen. Padilla never considered their bills to be in competition. “We were using each bill to spur some good discussions so that we are sure we have the best legislation moving forward,” he said. He explained that the intent of his bill was never to hamper private child care centers but instead to address issues about capacity by using CYFD funding and child care centers for early pre-K and PED funding and public schools for pre-K.